Rob and Helena Rice received top honors from the community where they build superior homes. 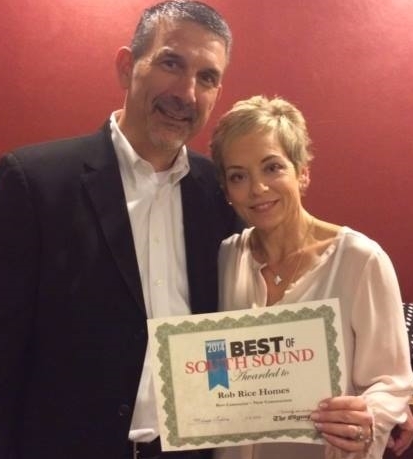 Rob Rice Homes was recently recognized as the 2014 Best of South Sound Contractor for New Construction, a distinction made by voters throughout our communities and region. This is the second year in a row the local new home builder has received the award and he was honored again at a public ceremony for the Best of South Sound winners co-hosted by the Thurston County Chamber of Commerce and The Olympian newspaper. 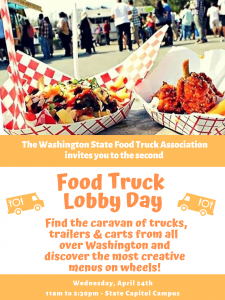 This year’s event was bigger than ever, attracting nearly 400, a record attendance. 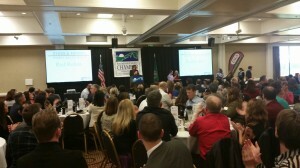 For the past decade, the Olympian has presented Thurston County businesses with the coveted Best of South Sound award. This year, their readers voted online from January 10 to February 15, 2015 for their favorite business in more than 80 categories. Rob Rice Homes won top honors out of 48 total nominations in the category. 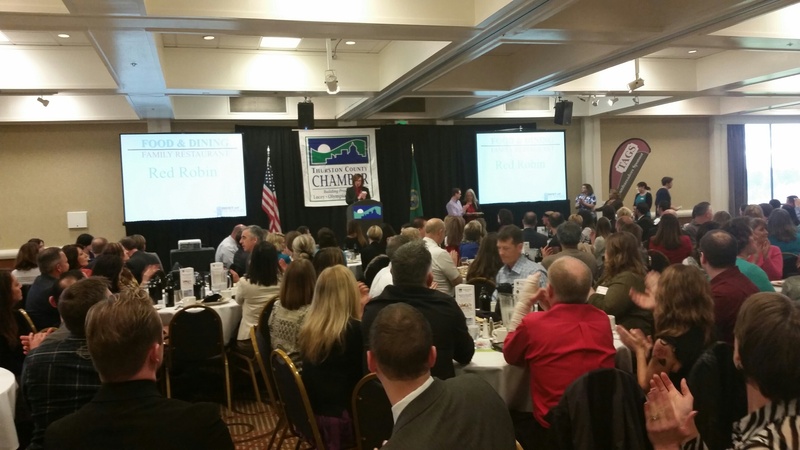 The awards ceremony that recognized Rob Rice Homes drew its highest attendance in the history of the award. Rob’s office has been in downtown Olympia, just across the street from Ralph’s Thriftway for many years. 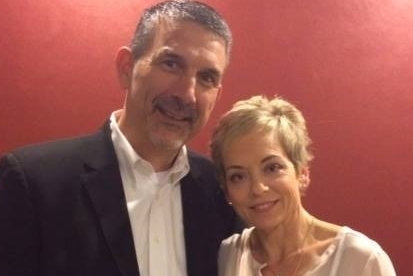 A fixture on local non-profit boards and frequent donor to many non-profit organizations, Rob and his wife Helena are a big part of the community that has again honored their work.